In his book, 'Measure What Matters', and in many of his talks, John Doerr often picks up the sports analogy and demonstrates setting OKRs for an imaginary football team. 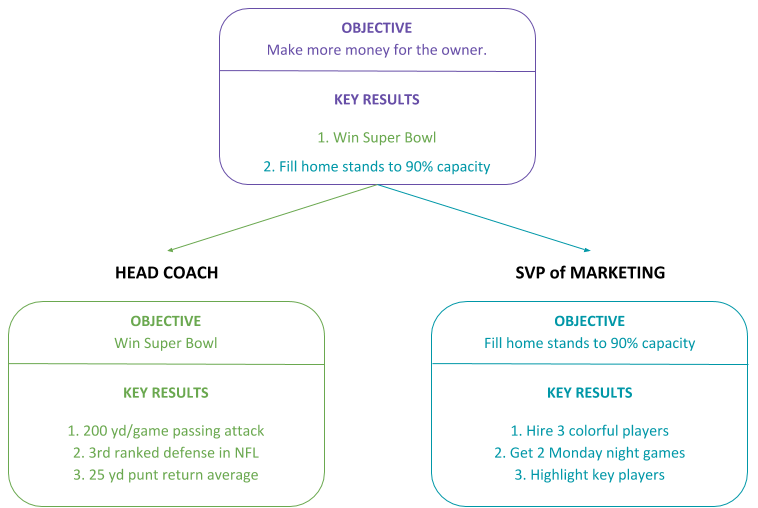 In his example, the general manager of the team may have the one Objective: Make more money for the owner. His two Key Results help him attain that Objective. The Key Results though, become the Objectives of his team further down the organization. 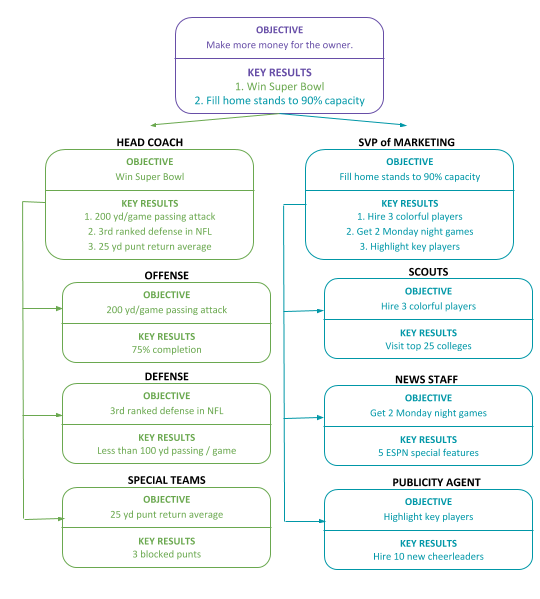 For instance, 'Win Super Bowl' becomes an Objective of his Head Coach, who adds his own Key results. 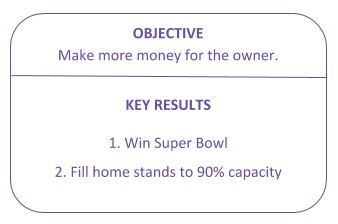 His second Key Result, 'Fill home stands to 90% capacity' becomes the Objective of the Senior VP of Marketing.